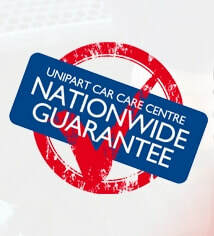 Please click here for full details of the items included in an MOT test. Can you service my vehicle without invalidating the manufacturer's warranty? Yes. It's a common myth that you need to have your car serviced at the manufacturer to keep your warranty. As long as you tell us at the time of booking that you want a manufacturer's service, we will service your vehicle following the manufacturer's service schedule, we will use the manufacturer's genuine parts, and we'll charge you much less! Don't believe us? Here's what the car expert has to say. Some times are busier than others so it's always best to book to avoid disappointment. Please call us on 01787 478989 to book. Do I get a free retest if my vehicle fails its MOT? Yes. If your vehicle fails its MOT, we offer a free retest within 14 days of the failure. Can I drive my car without a valid MOT certificate? No. The only time you can legally drive your car without a valid MOT certificate is when you are driving to your MOT appointment that has been pre-booked in our diary. An MOT takes approximately an hour. What should I take with me for an MOT? If it's your car's first MOT, the V5 (logbook) is very helpful. If not, just the car and keys are all that's needed. What is the earliest date my car can have an MOT? You can MOT your car up to 28 days before the expiry date and will still receive a year's MOT from the expiry. I've got a warning light on my dashboard, what should I do? Call us for advice. We may advise you to bring the car in straight away and will be able to advise you whether the car is safe to drive or not. What happens to the parts you remove from my vehicle? We will return the parts to the owner of the vehicle if requested before work is carried out. If the customer does not want the parts, we pride ourselves in being conscious of environmental change; we send metals to be recycled and we use a registered disposal company for fluids. How can I pay for work carried out? We accept most cards apart from American Express, we take cash but not cheques. Do you offer vehicle recovery? We will always try to help you out if we can but if we're not able to, we are able to make some good recommendations of vehicle recovery companies.